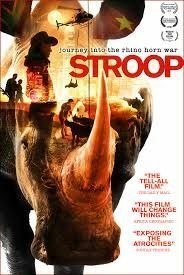 Today, 19 January 2019, in Port Elizabeth, we had the privilege of watching the award winning, ground breaking documentary, Stroop, Journey into the Rhino Horn War. 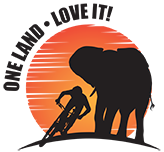 Wayne Bolton and the Team from One Land Love It, sat riveted throughout the movie, along with the sold out audience of locals many of whom were connected through their involvement in conservation and their passion and commitment to our rhino. Stroop condenses four years of intense investigation by Bonné de Bod and Susan Scott into a journey that takes the audience from the heartbreaking drama that plays out in different parks and toothless courtrooms in South Africa to the disconnected, heartless streets and workshops of Vietnam. Shocking statistics, boots on the ground insights, privileged behind the scenes footage – all arm the audience with invaluable knowledge. This documentary is a rhino conservation tool unlike any other. The film starts by literally opening a door into the nightmare that Thula Thula (The Elephant Whisperer) experienced when their staff were attacked and two of their orphaned calves poached for their little stubs of horn. The very nurturing and protective environment where these victims were successfully rehabilitated after the trauma of experiencing their mothers being poached, was violated. Their deaths, in a cycle of senseless violence, leaves us wondering what has happened to humanity that there are no boundaries to decency and honour. “It was emotional and intense. It was truth. It was balanced. It was inspiring – demanding of me to do more to save our iconic rhino species with a greater sense of urgency. It was despairing to see the worst side of human beings and the lack of political will in South Africa to really deal with the problem. It demands that we act immediately. The challenge for us all is to look this problem in the face and to make a conscious decision to act. There are so many reputable organisations out there that you can support. In a Q&A session after the film, Bonné and Susan suggested that we need to stop looking to the East and focus on Africa. We need to support and protect our rangers and vets on the ground, put pressure on our criminal justice system so that traffickers don’t get off lightly and disrupt criminal networks. We should focus our resources in South Africa. A visibly moved and emotional Dr Will Fowlds described the documentary as “Astonishing work!” He said that in essence what they had captured was the soul of the matter. He paid tribute to the emotional investment and personal sacrifice that has gone into years of work on this documentary which they have brought to us as South Africans. Well done Bonné de Bod and Susan Scott and all those involved, for this exposure and inspiration to the world to move from caring to doing! Besides the fact that this documentary is an amazing conservation tool and should be part of your film library, these film makers are self-financed and what better way to say thank you to them than by supporting them and purchasing the DVD on Stroop’s website or downloading it when it gets released in a few weeks’ time.